In reply to the term "moderate Islam," which was apparently quoted to him by a Western journalist, Erdoğan said: "These descriptions are very ugly; it is offensive and an insult to our religion. There is no moderate or immoderate Islam. Islam is Islam, and that's it." 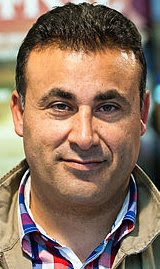 Naser Khader is a senior fellow of the Hudson Institute and Naser Khader represented Denmark's Conservative Party in parliament from 2001 to 2011. He was originally born in Syria and is an award-winning scholar of the Middle East and Islam. Ryan Mauro: As a former Danish MP, can you enlighten us as to how strong the Islamist presence is in Denmark and Scandinavia as a whole? Naser Khader: Denmark is a small country of five million people; approximately 250,000 residents have a Muslim background. Despite the relatively small number of Muslims, there is a strong Islamic presence in the country. According to the Danish intelligence service DSIS, 80 to100 Danish jihadists have gone to Syria to fight. France is six times larger than Denmark and has three million Muslims. Yet they have only 150 French jihadists who have gone to war in Syria. Compared to its population and the total number of Muslims, the number of jihadists coming from Denmark is very large. I believe that the reason for the large number of jihadists is due to the liberal Danish law where all parties are legal. Even the Nazi party can meet with ease. In Denmark, a judge cannot sentence anyone because of their opinions, only their actions. This has led to some very active Muslim organizations, such as The Call to Islam and Hizb ut- Tahrir, which have a significant size and presence. In Denmark, there have been five to 10 terrorist attempts the last five years, but all have been averted by the Danish intelligence service DSIS. in Denmark is related to the crisis that rose after the Mohammed cartoons, which appeared in the newspaper Jyllands-Posten in 2005, but I have my doubts. The crisis can be partially responsible, but I do not think that's the main reason. The real reason lies in the liberal laws that allow even extreme groups to meet and organize. Mauro: Most experts believe the Muslim community in the U.S. is much more moderate than its counterpart in Europe. Why is that? Khader: That is how it has been so far, but I do not think it will continue. I experience strong Islamist tendencies rising in the U.S., although the tendency is more dominant in Europe. The Muslim immigration into the U.S. has been going on for more than a hundred years. The people established themselves in the country and have served as a moderator for new Muslims. The Muslim immigration to Europe and Denmark is more recent, and its significantly different welfare system has helped to attract Muslims who are uneducated. Denmark has a secured support and help system if you are unable to find a job. In a society like the U.S., you are welcome, but you must take care of yourself - welfare benefits are much lower than in Denmark. On the other hand, in the U.S., a person has a greater opportunity to make a career for themselves and work their way up the social ladder. This system attracts more prosperous and better educated groups. The tendency to become extremists is higher among the less educated/resourceful Muslims. 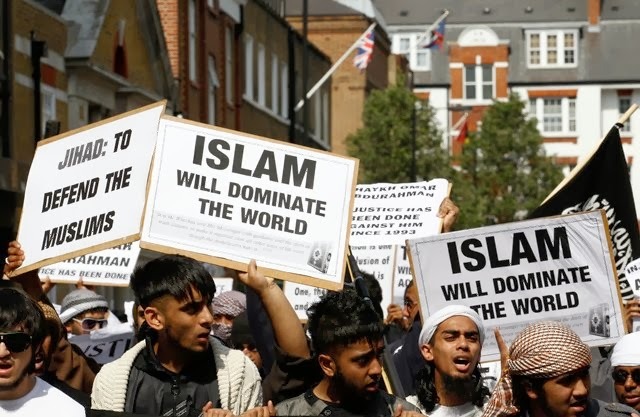 They can be easier lured into Islamist organizations -- organizations which are not allowed in the U.S. In the States, people manage a lot better because they have to work harder in order to succeed. I find that Muslims in the U.S. are more sophisticated and educated than Muslims in Europe, however, it is noteworthy that a lot of newly arrived U.S. immigrants look like the people who traditionally come to Western Europe. They are not as educated and more religious. This is partly because Europe is closing off immigration more and more. , Jamaat-e-Islami. Is that the case in Europe as well? Khader: Until the Mohammed cartoon crisis, the Muslim Brotherhood was dominant in Denmark, but the Brotherhood lost much support as a result of the crisis. That is to say that they no longer have the same impact and influence. They have closed in on themselves and are no longer as visible in the Danish public debate. But on the other hand, a lot of money flows into the organization from countries like Qatar. They just funded a mosque in Denmark that cost 100 million Danish kroner, which corresponds to approximately $18-19 million. Council. The council announces guidelines on how to live as a Muslim in Western Europe and the chair is Yusuf al-Qaradawi. He is the most prominent man from the Muslim Brotherhood on a global scale, and he is an extremist. He has no influence on the U.S., but he a leading figure and is heard, even in the States. Mauro: You support Western intervention in Syria. Is there any kind of organized, non-Islamist rebel force that the West can help? Khader: Yes, I support a humanitarian intervention, but it is important to emphasize what is a humanitarian intervention. The intervention which I support is not about who should govern Syria in the future but to save lives. I am in favor of non-fly zones -- no-killing zones. Compared to whom the West must help, I think it is unfortunate that we have reduced all Syria issue to a matter of a choice between the plague or cholera -- Assad or jihadists. It is a superficial assessment. We forget the whole Syrian civil society, all the many millions who marched peacefully in the beginning of the conflict. They are not politically or militarily strong, and therefore they are the ones we should support. You do not want plague or cholera. Civil society is destroyed at this time and without support, it cannot be restored. Therefore, it is important that we in the West start looking in that direction. Mauro: In your expert opinion, what does Europe look like five-10 years from now in terms of Islamism? Khader: I would say that if Europe does not tighten up the lead in uncompromising and tough against Islamists, then problems will inevitably arise. We can already see it now. Take Denmark -- there are areas where I, and other Muslims critical of the Islamists, cannot move freely. The Islamists are actively looking for people who are exercising their freedom of speech and intimidate them into silence. I mean, there must be zero tolerance for such things. If we do nothing, it will get worse and worse. If it is not treated soon, I will be very uncertain about the future of Europe. We have democracy and free speech, and we must safeguard these with all our democratic means. It has to be stricter, so that we can deport those who do not respect freedom of speech.
" in 2007. The film was later picker up by the Potland PBS affiliate and aired on most PBS channels in the U.S.